For the past 10 years, Zillow has been a total guilty pleasure of mine. I can’t prove this because my memory just isn’t that good, but I’m pretty confident I was one of their first dedicated users. It is awesome to see what houses are selling for in each neighborhood around me. Want to know what the people across the street paid for their house? Once it hits the books, Zillow will show you without a trip to the courthouse to pull the records (because that would be creepy). Wonder how the house for sale down the street is laid out? Most likely there are images on Zillow to show you. I’m am NOT getting paid to say any of this, I seriously could spend hours a day virtually driving through neighborhoods checking out the real estate market. SO, when an email from Zillow popped up asking if I wanted to partner with them by trading content (they would write a post for me, and I would answer some interview questions for them), I jumped at the chance. 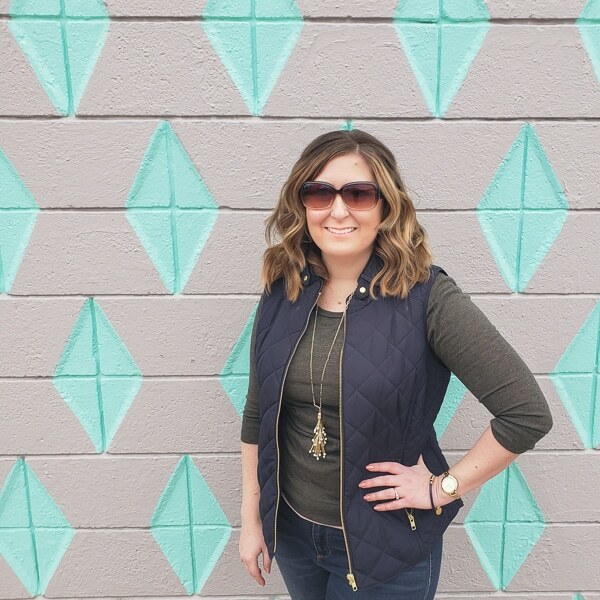 And it was SUCH perfect timing that they could provide a helpful post for you while I’m going nuts behind the scenes finishing the garage and prepping to go to Salt Lake City for the SNAP blogging conference. 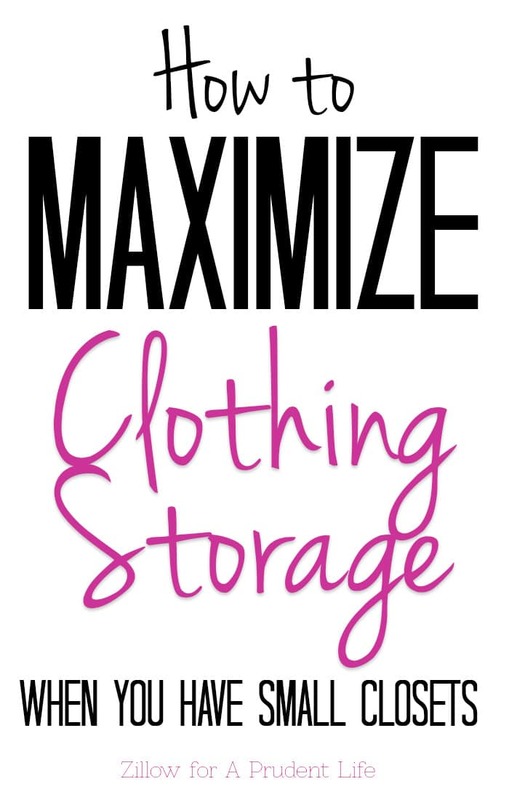 Here’s Sally Slack from Zillow to share her tips on maximizing clothing storage, even when you don’t have a huge closet! Figuring out where to store clothes can be a serious challenge, especially in tight living spaces. Not everyone has the walk-in closets they secretly dream of, so what are you to do when all your clothes are piling up in unsightly heaps around the house? Consider these savvy yet inexpensive clothing storage ideas that go beyond the traditional closet. A freestanding wardrobe is a cabinet-like piece of furniture used specifically for clothing. It’s an interior style piece trending in Europe and can come in various arrangements of drawers, shelves and clothing racks. Beautiful doors keep everything closed off so you can essentially place it in any room of the house. Bedroom wardrobes can come in handy particularly if you’re experiencing finicky weather between seasons and require access to both your summer and winter clothing simultaneously. Or, if you’re relocating to cooler climates you may need to make space for extra layers. For example, if you’re moving to Philadelphia where winter weather is quite chilly you must prioritize storage for snow pants, boots, thick knits, parkas, hats and gloves. During the hot summer months, the wardrobe provides discretion for these bulkier items. Although high-quality wardrobes aren’t exactly cheap, they’ll last a lifetime. Don’t be intimidated to build do-it-yourself (DIY) storage units – it’s easier than it sounds! If you have tons of shoes, for instance, you might add a little extra shelving inside your closet or even in the bedroom. Shoes are colorful and fun, so they add personality to your bedroom design when displayed outright. Choose a smaller wall in your bedroom, purchase shelving materials from a home supply store and decide on the number of shelves to meet your needs. Not handy with a hammer and nails? Hit garage sales, resale shops and the like to see if you can find a bookshelf to repurpose instead. Bonus tip: If you can fasten the bookshelf to the wall safely, raise it up about 8 inches to make room underneath for additional shoe storage. Did you know people (and stores) sell rolling, open clothes racks like the ones you see behind the scenes at fashion shows? Rolling racks can be a fun complement to your DIY shoe display in your bedroom. Coordinate the colors of your flats, sandals and pumps on your shoe shelves to match your open-rack clothes for a high-fashion, bohemian bedroom look. Plus, rolling racks are easy to take with you during a move – just push directly onto the truck ramp without any heavy lifting! Make sure to cover clothes with garbage bags to avoid dust and debris wearing down delicate fabrics, especially if transporting cross-country. There are a lot of crevices in the home that go to waste. Wide and long boxes can be used under your bed to store shoes, including bulky boots. Just slide the boxes in and out when you need to access something. Under-bed storage boxes are affordable and can be found at your local container store. If you’re moving, these boxes make transportation easy. Under-stair storage is sometimes overlooked, too. While the underbelly of the staircase is usually an oddly-shaped space, a small clothing rod might fit to control clothing overflow. Create a low-cost shelving rack with bricks and a few pieces of wood to pack away awkwardly-sized items, such as horseback riding gear. Alternatively, use baskets on the under-stair shelves for smaller accessories like scarves, gloves and loose hats. Whether you’re staying right where you are or relocating to a new abode, get creative and maximize your clothing storage, especially if your home lacks ample closet space. Good tips, right? 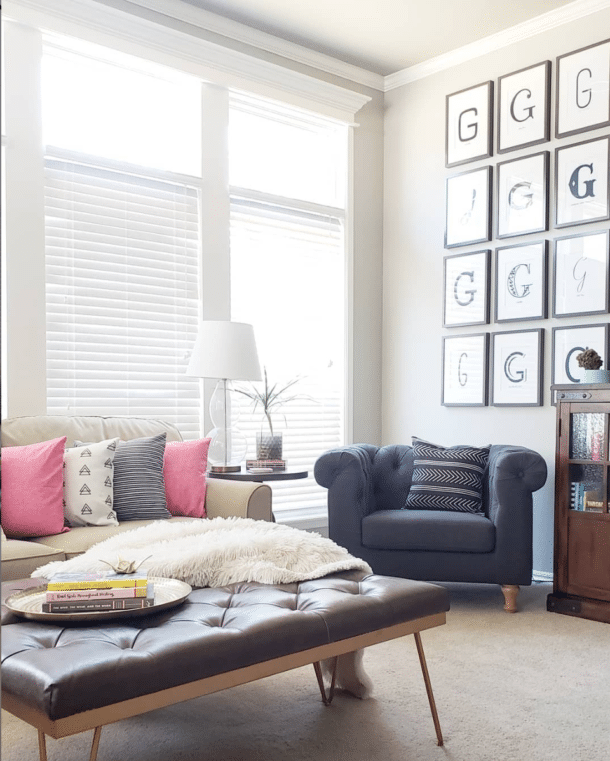 I loved the one about hanging a bookcase on the wall to gain extra shoe storage below it. What’s your favorite clothing storage trick?